With the Spring Festival just around the corner, there has been a growing atmosphere in the city of Dongguan. For countless people who work and live in Dongguan, the New Year represents renewed hope and something new to look forward to. Although people are busy with everyday life, they have written their New Year wishes to convey their yearning for a happy life. Everyone has their own wishes, and to realize your dreams it takes hard work and dedication. At this crossover to the New Year, let's depart together in happiness for the Golden Year of the Pig! 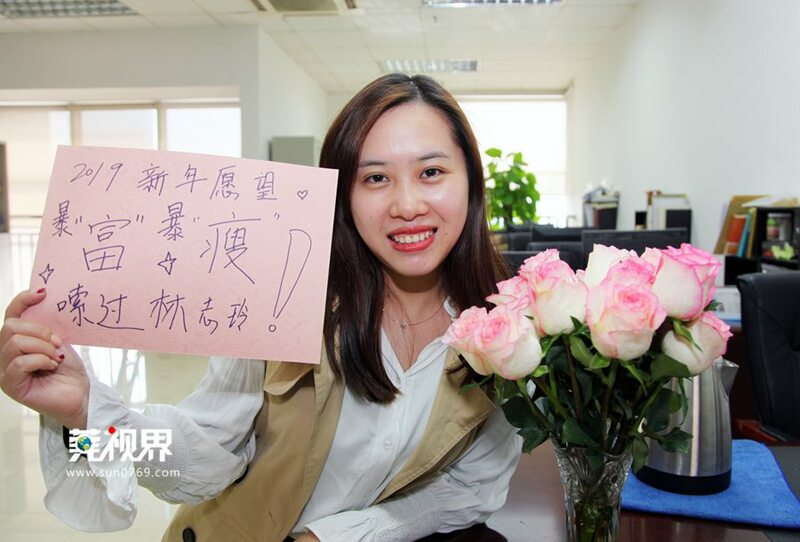 Post 90s' female reporter Lai Huifang's wish for the 2019 New Year is to be rich, thin, and beautiful.